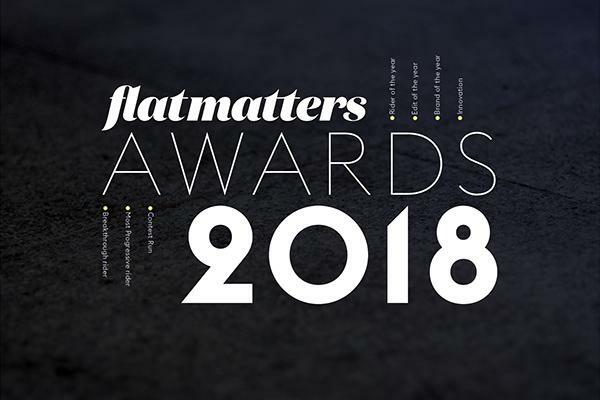 The 2018 Flatmattersonline Year End Award Winners are…..
It’s that time, thanks once again to everyone who voted in the 2018 Flatmattersonline Year awards and a massive congratulations to the winners and everyone who got nominated. In my opinion, if you get nominated you already won. But, as always there has to be a winner. Let’s get into this, first up the editorial votes then the reader choice. Medals will be sent out once I return from my trip to the One Love Jam, so I will be in contact with the winners over the next week or so. Giannis Caternellis completing his 100th episode of his freestyler series. What an amazing contribution to flatland not only in 2018, but the last couple of years hunting this amazing achievement down. Thank you Giannis. Winner: Jean William Prevost – 3:52 End Rodeo Line from Puro Flat 2 Spring. Runner Up: Sietse van Berkel – Final Round Entry from Master of Creativity 2018. Runner Up: Sietse Van Berkel. The results are in, and unless you have been living in a cave with no wifi over the last two days you will have seen the videos on instagram plus shared all over social media. Martti Kuoppa put together a Master of Creativity pro finals edit that totally hits the spot. The MOC is infamous in flatland circles now as the most progressive contest on the planet, I am honoured each year to be invited to judge the event, this year along with Martti, last years winner John Yull, and Chad Degroot. 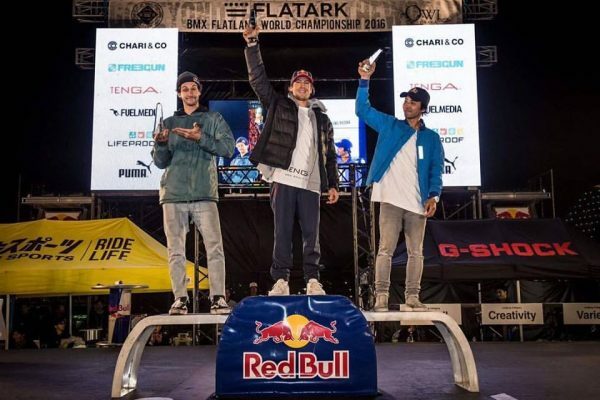 Now the contest is over and results have been announced, I wanted to give some love back to the riders that are helping to take flatland to the next level and bring new tricks to the table as we have seen with the likes of Sietse van Berkel’s winning entry. 11th.Stephan Fabien – Xft pedal nose wheelie inside xft steam without touching seat drops back wheel throws back to xft nose wheelie at the 00:6 mark. So smooth. 10th. Raphael Chiquet – 00:15. Raphael seems to have caught second wind in his riding career and is coming back really hard after being out of the scene for a while it seemed. Love the one handed stubble, looks like he wanted his signature no handed backwards spin, and throws the bike round body varial style to the floor. Look forward to seeing how this line develops. 9th. 00:34. Interesting choice of trick from Toon Pakphum for the finals, although I have seen this crack 360 flip to steam done to death with a front brake. I have never seen it brakeless, watch his technique getting the foot to the tyre so quickly after the flip. Literally has to be perfect execution to get this done, respect! 8th. 00:47. Who else but Mateus Beckmann drops a 180 bunnyhop to backlash whopper to backwards wheelie (controls with a few scuffs) to brakeless foot jam decade out?! Amazing skills from the talented Brazilian. 7th. 1:09. Xft rolling lawn full body varial gerator to his signature Zinger out, James White continues to amaze. James posted today there will be an edit out this week showing the background work that went into this entry later on in the week. 5th. 1:49. Owen Bohm is always a treat, you never know what to expect. And this no footed cliff turbine holding the seat defies all logic of gravity, flat-out amazing! 4th. 1:57. Ederson Paulo Ferreira dropped a wicked variation on his signature backwards one handed seatspin spinning the bars 360 and back to it for the finals. Incredible. 3rd. 2:11. Top three is getting heavy, Moto Sasaki went for a longer line than most riders for his final entry. The difficulty of combo’ing a one handed hang ten pivot triple xft crack turbine jump to steam kick pivot forward Karl xft opposite steam backwards spinning opposite Karl to spinning/pumnping xft hang ten jump to crack is insane! 2nd. 2:38. The beginning of Alex Jumelin’s final entry is out of hand, who else does an xft nose jumps at the point of the sweet spot to turbine and hop 360 nose jump xft steam without holding the seat? All Alex originals right here, absolutely unreal! 1st. 2:55. It was going to take something special to beat Alex’s entry and boy did Sietse van Berkel come up with the goods. I am going to just put it out there, whatever Sietse calls this trick (some kind of hybrid backwards pedal halfpacker locked on the top tube no handed) is the trick of the year! It’s so fresh I have no name for this, and it made just say “wow” let’s rewind that when I was judging this. 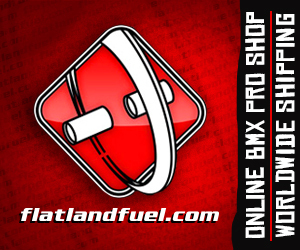 Flatland just went up a notch with the Master of Creativity contest, for me this event is not about the results although I know you riders at home like to see who came where. It’s about the progression, and the inspiration it gives to us all on that next session. I can’t wait to ride tomorrow…. Big thanks to Martti Kuoppa inviting me to judge, all the other judges that helped. John Yull, Chad Degroot and MK of course and of course all the riders that made MOC what it is. Beautiful. Great edit from the warm up day at the 2018 Fight the Winter contest, featuring the likes of Alberto Moya, Dez Maarsen, Sietse Van Berkel, Wolfgang Sauter, Gino Stuart, Dustyn Alt and many more. Enjoyed this one! Erik Hogers is on point with updates from the Fight the Winter contest, next up we have the Pro Class. Watch the runs from 4th through till 8th! 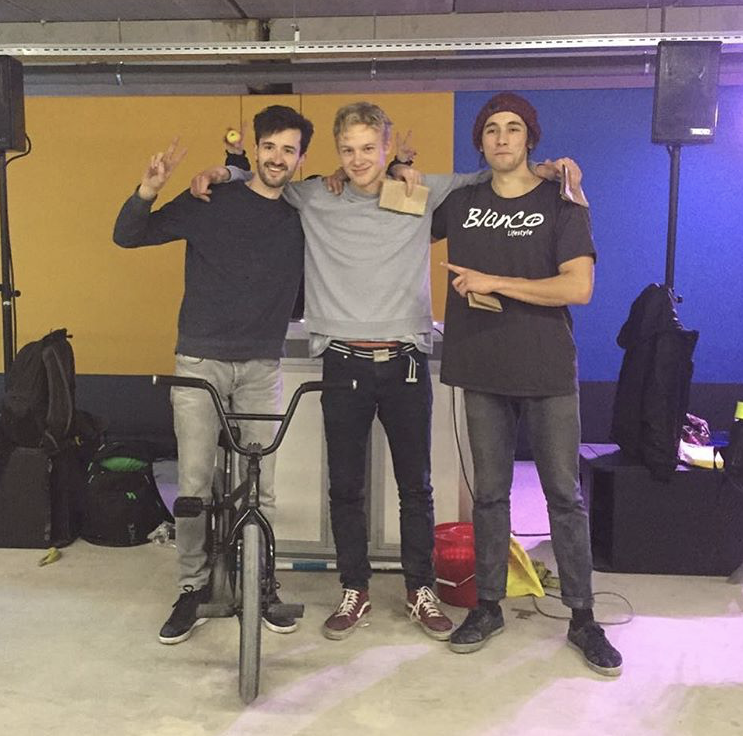 Dez Maarsen threw an Underground contest in Delft, Holland yesterday. Congratulations to Jorrit van Drumpt who took the top honours, followed by Sietse van Berkel, and Gilles van de Sompel. Good vibes from Holland, this sounds a whole lot of fun! Just found the video online by Erik Hogers, enjoy! Like Martti Kuoppa, the visionary of the Master of Creativity said yesterday on his podcast with Scott O’Brien. MOC is a different kind of riding from contest riding, and rather than consistency, riders are killing themselves for a trick they might only land once and try to capture it! The top 5 level was off the chart, I wanted to highlight what I liked about each entry. Sietse Van Berkel: 1:55 locked in his original side packer position, Sietse takes the pedal steam standing on the top tube one handed to new levels. Absolutely incredible, go back and look at the balance point! Sakis Doumas: I like what Sakis did here, here’s my banger and thats it! And wow, what a banger it was. Hitch dark side to knee fudegpacker, and considering the difficulty coming off the knees in that position, relatively clean exiting out! Much respect Sakis! Lee Musselwhite: Without question I think this is Lee’s best work yet, really stoked he stepped up for the MOC finals. My personal favourite’s were the Phoenix body varial to fork wheelie at 1:10 and the backwards flail boomerang to no handed backwards crack that follows! Absolutely amazing! Owen Bohn: Owen’s ender has had us all talking, the lawn to bike flip one handed at 00;38, executed so clean! I am excited for this guy’s future, and on a personal level the opening whip round to crack pivot hang ten pivot xft steam all in one motion was beautiful, one of the lines of the year! Respect Owen! John Yull: Despite some bike troubles, John Yull still dug deep for the MOC Finals and continued his amazing level throughout the competition and much like Scott O’Brien said yesterday on his podcast. He dedicated his year to this event, and it showed. My favourite clips were the foot jam decade frame stand manual to stemade at 00:26, the no handed decade to opposite decade at 00:18 followed by switch foot one handed perverted rolaid that follows! Congratulations to John Yull for taking the win in the most progressive contest of the year, and all the finalists for progressing our art form so much, you can’t put a price on that…. Attila Toth just dropped this really nice edit (with help filming from Erik Faustmann) from the Vienna Flatland Jam 2016, featuring: Csaba Orosz, Mates Tucek, Balazs Csaszar, Sietse van Berkel, Norbert Kiss, Viki Gomez, Istvan Turi, Ibo, and Rob Alton. Check this one out! With the voting closing today on the 2016 Flatmattersonline Year End Awards, its’s time to finish up on the last two months of the year. Did things slow down, hell no!!! March is always a good month, springtime is coming and after a long winter its nice to be able to ride outside again. Not to mention generally there is a whole lot more content coming through from riders worldwide. On the first day of March, Paul Chamberlain just dropped a real nice promo for the Down Underground 2016 series, filmed at his local riding spot in Summer Hill. Plenty of awesome hang 5 variations in signature Paul Chamberlain smooth style, well worth watching again. Great edit by Sevisual of the annual Vienna jam which this year took place at the Wiener Fahrradschau as part of a bicycle exhibition last weekend. Nothing but good vibes with Sebastian Grubinger, Viki Gomez, Mates Tucek, Sietse Van Berkel, Rob Alton and many more, also great to see some flatland tuition going down. Really enjoyed this, and no doubt you will to!